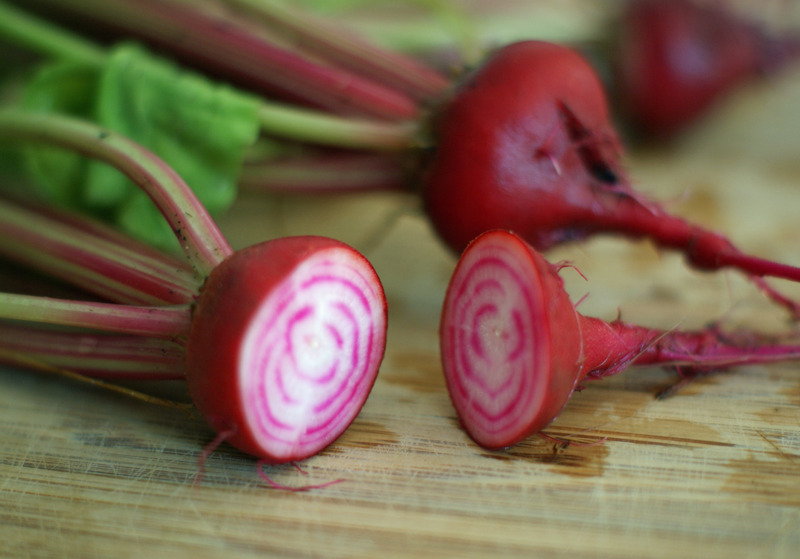 Beets are rapidly making their way up the hit list around here. My only experience with these growing up was the ones that my grandpa grew and pickled, so needless to say, beets were nowhere on my hit list then. 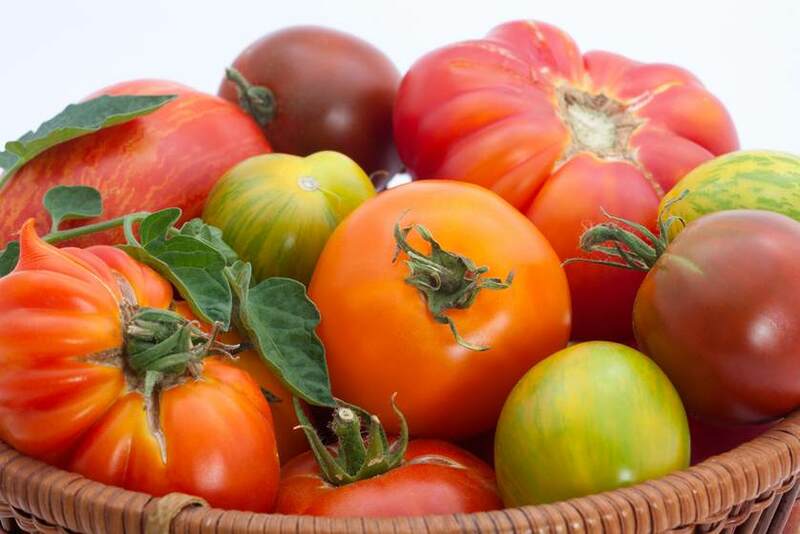 Recently though, we’ve had the non-pickled variety, and surprisingly, they were quite good – earthy and sweet. I’m growing some of the Chioggia cultivar this year, a gorgeous heirloom, and we picked the first of the year for this salad. The salad is roughly based on one we had at Felice a few months ago. The salad part can be whatever you want it to be. 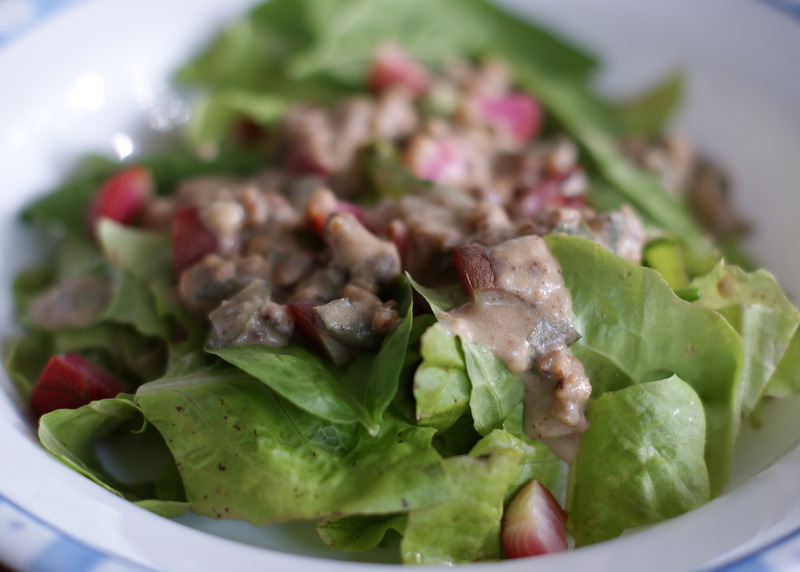 We used a base of freshly-picked lettuce, with a little spinach, and of course, the beets. I picked four smallish beets, and boiled them for about 10 minutes, or until tender, depending on the size. Ideally, you’d roast them at about 400 F for half an hour or so, but lately, everything around here is done in the interest of time. When the beets are cool, slice them, dice them, or serve them whole or halved, and place on the bed of greens. Brown the walnuts in the olive oil over medium heat, just a couple minutes. Move the walnuts to a bowl, and when cooled, add the onion, basil, salt, and vinegar. In a blender, mix the Gorgonzola and cream until smooth. Add to the walnut mixture and combine. The dressing will be thicker than a normal Ranch, so it’s best applied with a spoon. Top your salad and dig in!